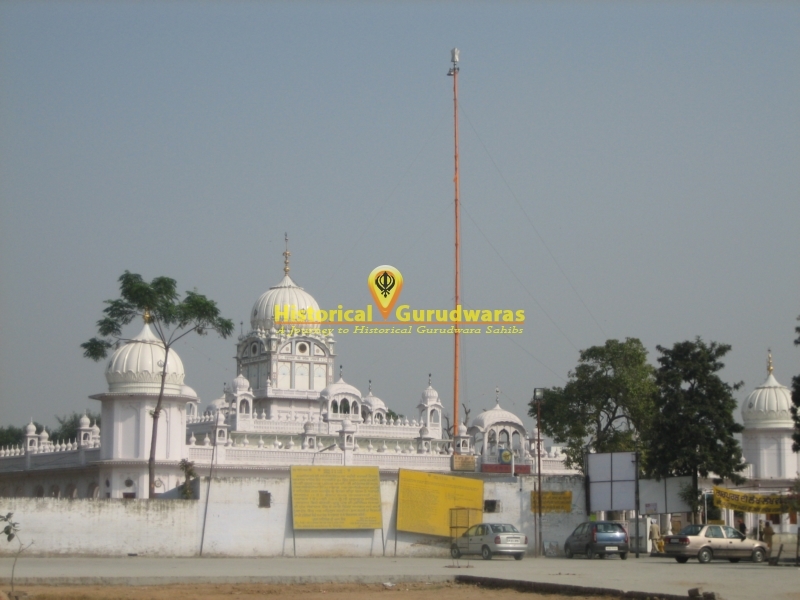 GURUDWARA SHRI AMB SAHIB is Situated in the Distt SAS Nagar Also known as Mohali. 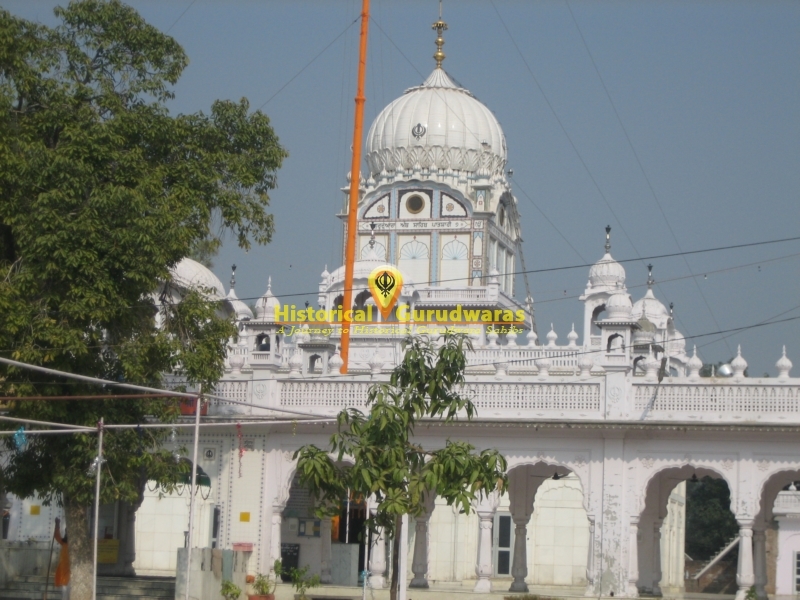 Seventh GURU, SHRI GURU HAR RAI SAHIB JI visited this place to fulfill the wish of his devotee. 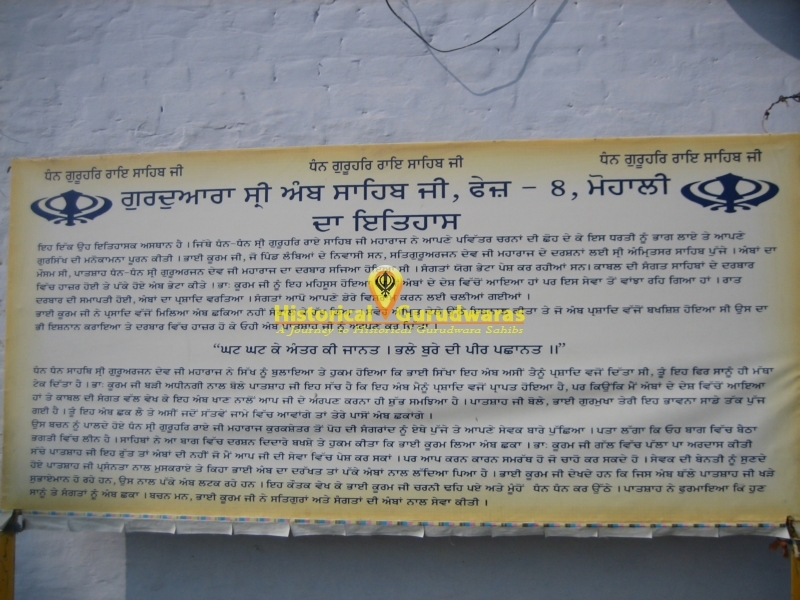 Bhai Kuram ji of village lambia, visited Amritsar Sahib to pay homage to SHRI GURU ARJAN DEV JI. 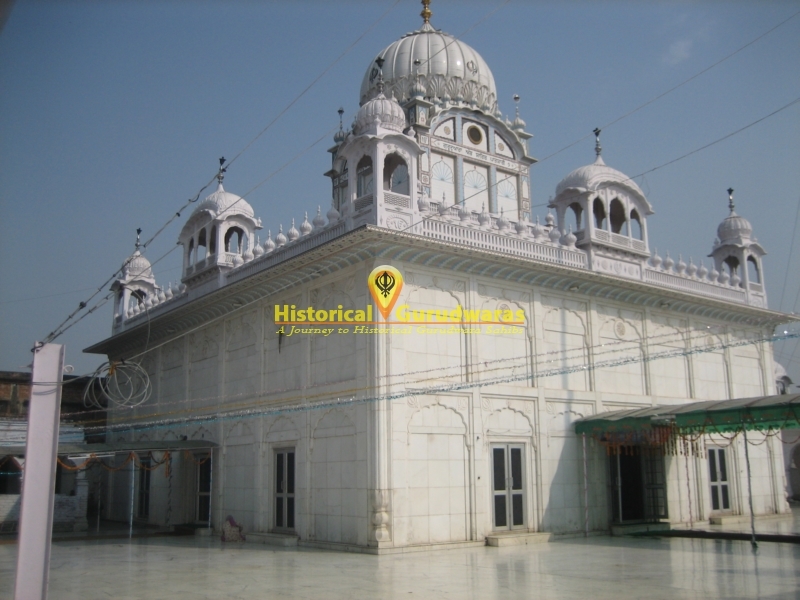 GURU ARJAN DEV JI's darbar was going on, Everyone was paying gifts according to their status and capabilities. 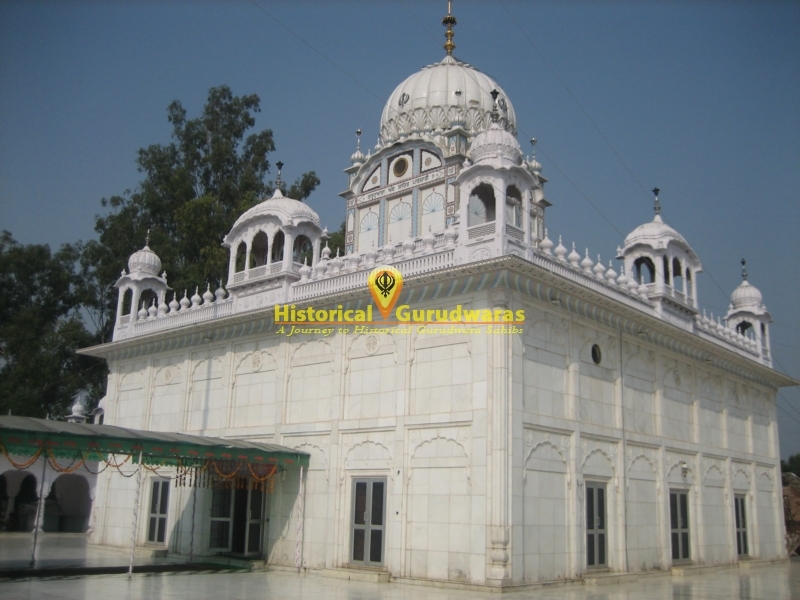 Sangat from kabul Gifted amb(Mango) to Guru Sahib, Bhai Kuram Ji felt bad on his part that he being from the land of amb, could have also served Guru Sahib with amb, In the evening the darbar was closed and every body was given prasaad of amb, Bhai Sahib didn't eat amb. In the morning Bhai Sahib Presented the same amb to GURU ARJAN DEV JI. GURU SAHIB called upon Bhai Sahib and asked that this amb was given to him in prasaad, then why did he had given back to him. Bhai Sahib politely said its true that i got this amb(Mango) as prasaad but i being from the land of mangos felt right to present it to you. Then GURU SAHIB said that you can have this as prasaad, we have felt your feelings and we will have amb in our seventh life span. 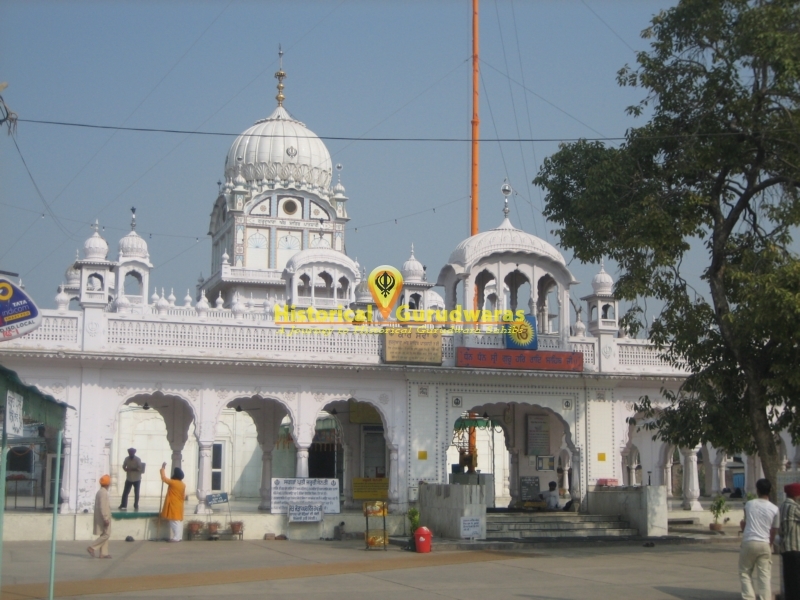 Seventh GURU SHRI HARRAI SAHIB JI came to this place from kurukshetra in mid of December and asked Bhai Kuram ji for amb, Bhai Sahib politely said to GURU SAHIB that in this season there are no amb, so i am unable to present the amb, but you are almighty you can do and get done what ever you want. 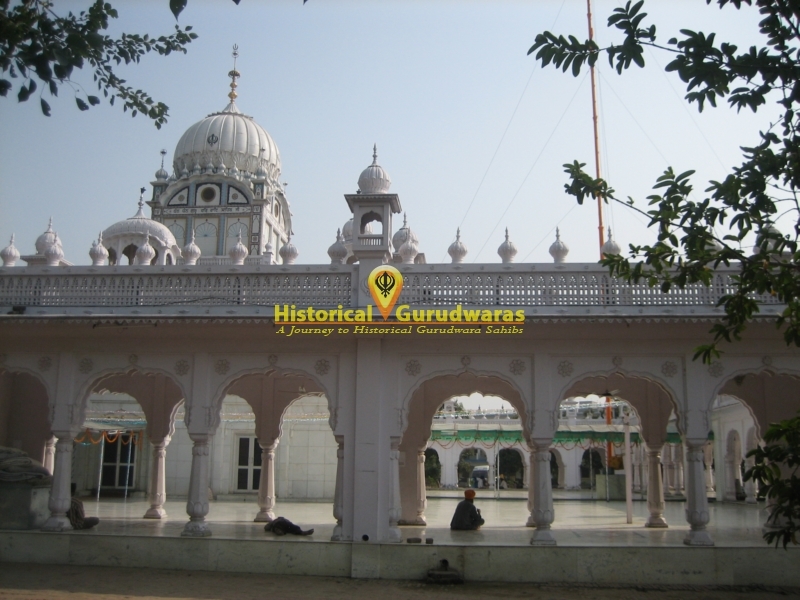 GURU SAHIB asked Bhai Sahib that trees are loaded with ambs. 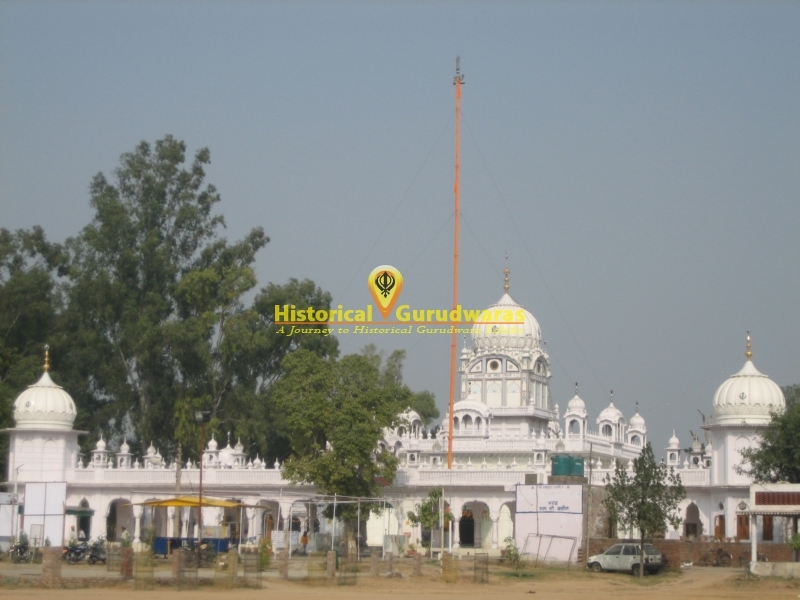 Bhai Sahib when looked up that the tree GURU SAHIB was standing under was full of ambs, Bhai sahib layed down on the feets of GURU HARRAI SAHIB JI and served everyone with amb in dec month.